Home → Industry News → Why is a Robot the Future of Medical Rehabilitation? Researchers at Ben-Gurion University is undertaking a study to improve the physical rehabilitation process by personalising the robot interaction with the human. For Dr. Shelly Levy-Tzedek, head of the Cognition, Aging, and Rehabilitation lab focuses her research on the use of robots for rehabilitation patients. The motivation of the experiment lies in the lack of physical practice for patients at home. Therefore, the device can facilitate the patients to practice and improve their health at their comfortable home. “In the future, human beings may increasingly rely on robotic assistance for daily tasks, and our research shows that the type of motions that the robot makes when interacting with humans makes a difference in how satisfied the person is with the interaction,” said Levy-Tzedek. 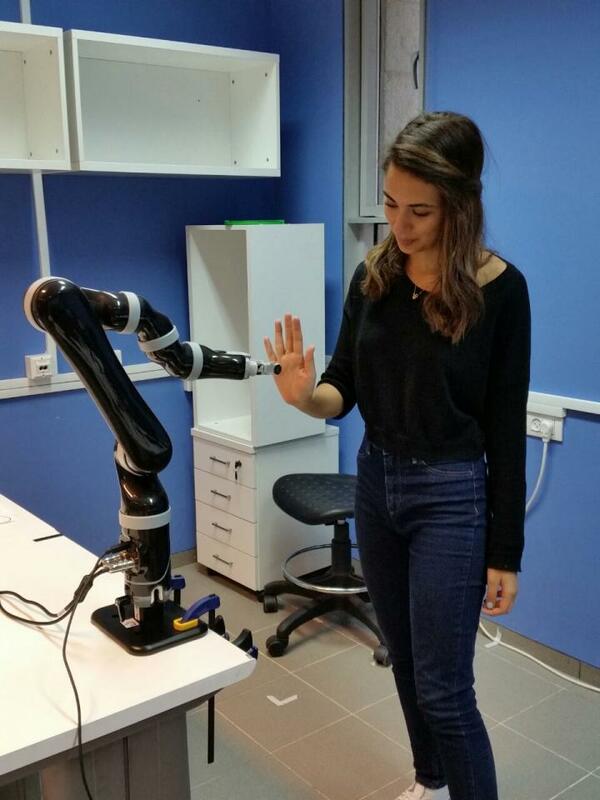 The future of medical rehabilitation: Ben-Gurion University of the Negev student researcher Shir Kashi interacts with robotic arm as part of her research in personalizing human-robot interactions to develop an interactive movement protocol for rehabilitation. The 22 participants of the experiment played a leader-follower game with a robotic arm, in which a person and robot took turns following each other’s joint movement. The study revealed that participants preferred smooth, familiar movements rather than sharp robotic movements.